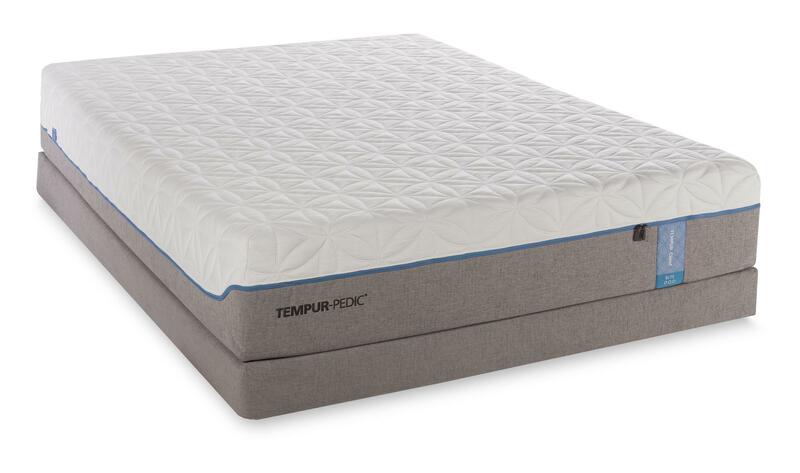 With the TEMPUR-Cloud® Elite you'll get a very plush mattress that provides a thick layer of support for medium adaptability; a balance between sinking and strong support. The TEMPUR® material makes this possible by responding to body temperature and adapting to your weight and shape. Moisture-wicking, cool-to-the-touch comfort is provided by SMARTCLIMATE™ system which allows you to sleep more comfortably at night, ensuring your body gets a better rest. The EasyRefresh™ Top Cover zips off and on, making it simple to wash and replace. The California King Extra-Soft Mattress and Foundation by Tempur-Pedic® at Al-Mart Furniture in the Oak Park, River Forest, Chicago, Elmwood Park, Forest Park, River Grove, Maywood, Melrose Park, Berwyn, Cicero, North Riverside, Brookfield, Lagrange Park, Franklin Park, Norridge, Oakbrook, Elmhurst, Bensenville, Lyons, Stickney, Harwood Heights, IL area. Product availability may vary. Contact us for the most current availability on this product. 10236180 Cal King Extra-Soft Mattress 1 12.5"
Browse other items in the collection from Al-Mart Furniture in the Oak Park, River Forest, Chicago, Elmwood Park, Forest Park, River Grove, Maywood, Melrose Park, Berwyn, Cicero, North Riverside, Brookfield, Lagrange Park, Franklin Park, Norridge, Oakbrook, Elmhurst, Bensenville, Lyons, Stickney, Harwood Heights, IL area.